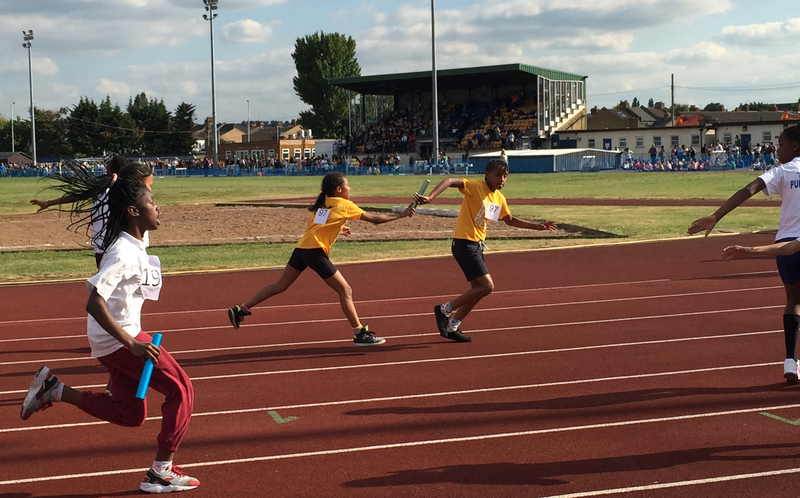 A few of our children have been competing at the Croydon Primary Athletics Competition for the past two days. Competing in all events, including throwing, jumping and sprinting, Heavers Farm have done exceptionally well. Terrence Greene-Mensah, Taylor Brown and Iqueeno Willocks are going through to the finals tomorrow in the individual sprinting events. Jemima Chima will also be returning to the finals due to her fantastic performance in the long jump, and, along with Vicky Zirora, Kiera-Belle Thompson, Shakira Blake and Iqueeno, as a part of the girls relay team, who all ran exceptionally well to secure a place in the final. A huge well done to all the Heavers Farm and Selsdon pupils who have already competed, and the best of luck to those who are going to the finals tomorrow! We’ll keep you updated with the results. It was amazing, even though I didn’t get through for my high jump I am still ready leave the other schools in the dust at the relay!!!!!!!!!!!!!!!!!!!!!!!!!!!!!!!!!!!!!!!!!!!!!!!!!!!!!!!!!!!!!!!!!!!!!!!!!!!!!!!!!!!!!!!!!!!!!!!!!!!!!!!!!!!!!! !